Harold Lee Washington was an American lawyer, politician and elected in 1983 as the 51st Mayor of Chicago. 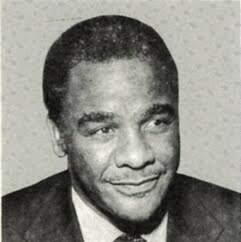 He was the first African-American Mayor of Chicago, serving from April 29, 1983 until his death on November 25, 1987. He was also a member of the U.S. House of Representatives from 1981 to 1983 representing the Illinois first district, and also previously served in the Illinois State Senate and the Illinois House of Representatives.